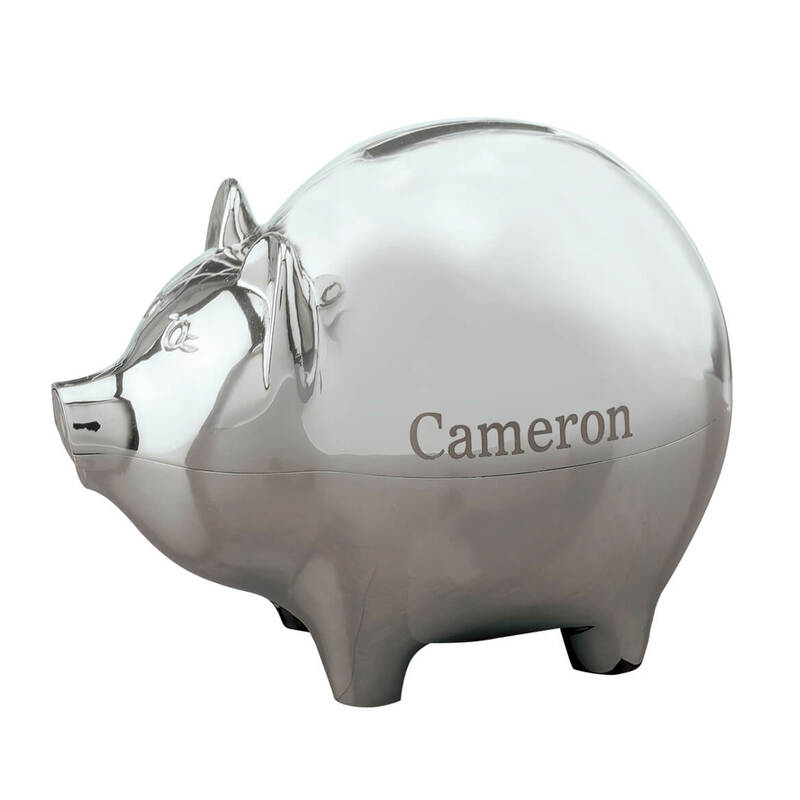 I needed a bank for my grandchildren that didn't look "babyish" - one that will last. How many lines/letters are included in the engraving? BEST ANSWER: Thank you for your question. There is a limit 1 line, 12 letters/spaces. We hope this information will be of help to you. If personalized, are the letters engraved or written on the bank? BEST ANSWER: Thank you for your question. 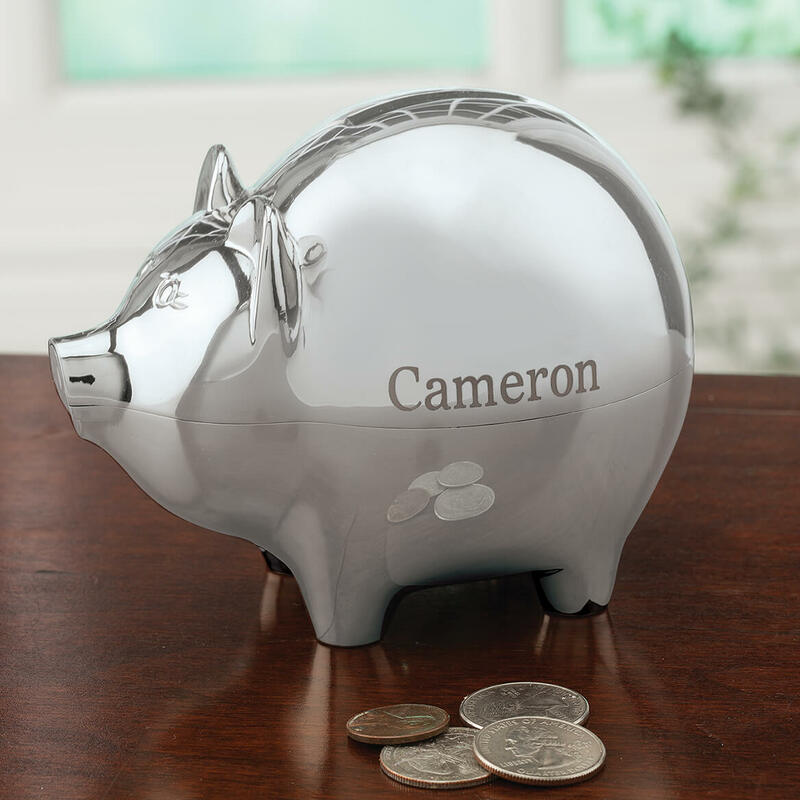 The letters are engraved on the piggy bank. We hope this information will be of help to you.